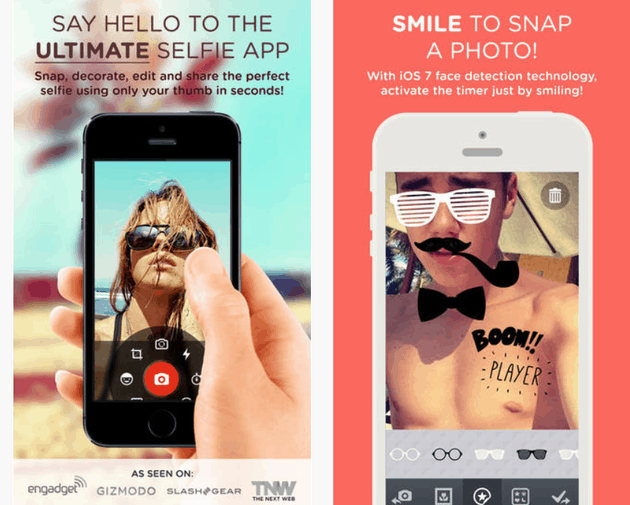 Here is the breakdown of some of the outstanding apps that allow you to take great selfies. While psychologists, intellectuals and sociologists try to estimate whether the selfie trend is good or bad, we’d rather assess the apps that help you make more or less decent snapshots of yourself. We also published a breakdown of apps that help you edit your portraits and fix some imperfections, so check it out here. Irrespective of whether you possess Kim Kardashian’s gorgeous looks or not, we all want to look fabulous and be able to instantly share those images with millions of our friends and followers on social networks. So, check out the following simple, yet powerful camera apps and image editors. This is a relatively new entry both on iTunes and Google Play, and its main appeal is it can take a snap simultaneously with both cameras of your device, which effectively allows you to take a selfie and a landscape image, then blend and combine it together, add text, stickers and frames. The result is something different from the typical selfies, which is good for the bored folks. Alternatively, there can be two of you on both sides of the device, so FrontBack will take a simultaneous selfie of you and your friend. If regular motionless selfies are too boring for you, you can try this app and make a moving gif selfie, which can be a lot more exciting and fun. Selfie 360 is simple in usage – you just launch the app and start turning around yourself holding a camera in front of your face. As a result, your face remains in the focus, while the background rotates. The resulting gif may be quite a fun alternative to regular Instagram selfies. You can also upload the gif to the dedicated Instagram-like Selfie 360 social network and send your friends a link to view it. You can also save the gif selfie to your device in the format of a video clip. The app is free both on iTunes and Google Play. 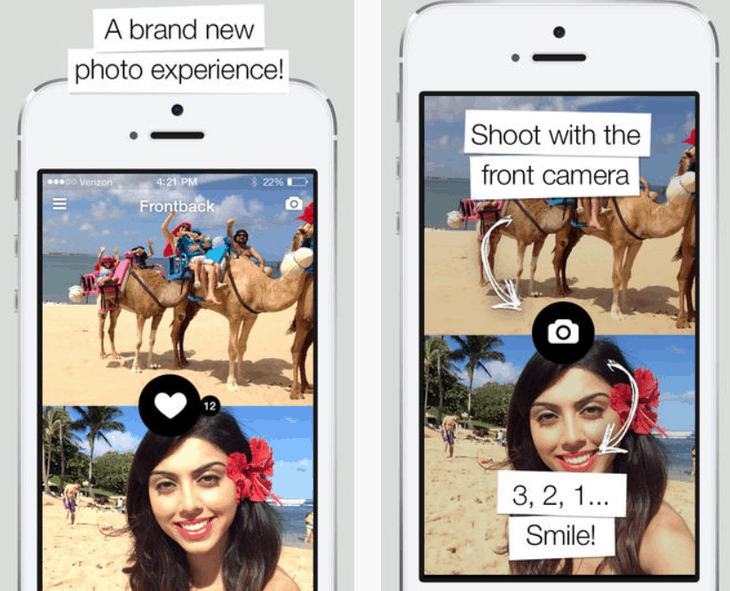 Selfie Cam is quite an interesting app for quick selfies that offers a wide array of features. 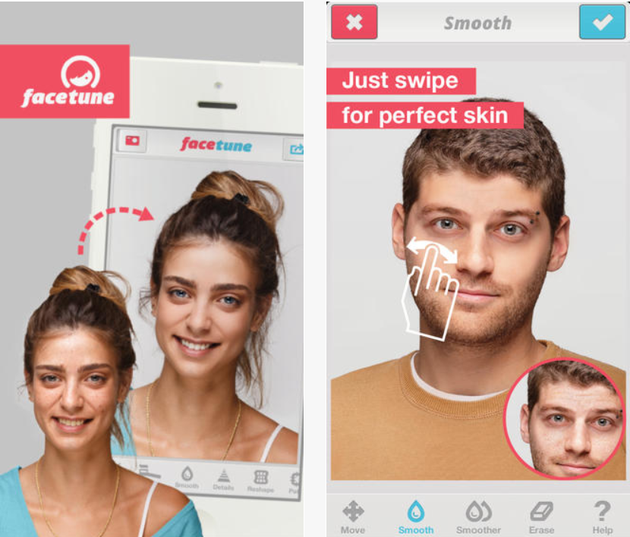 Its main appeal, though, is the emotion detection, which effectively enables the user to make the app identify a smile, for example. Thus, you just position your device in front of your face and when you are ready – smile. The moment the app identifies a smile, it will snap a picture. Beside the cool emotion identification feature, the app comes bundled with a lot of other fun stuff that mostly appeals to teens – frames and stickers, and all that artificial stuff to ridicule an image. The nifty addition, though, is a fine selection of beautiful fonts to sign your images. The app sports a slick design, and the UI is easy to grasp. You can instantly share your snaps via your favorite social networks, including Instagram, or send an image via WhatsApp in a matter of a tap. Selfie Cam is available for iPhones and iPads, and the best part is it comes free of charge. The developers monetize the app via a built-in store full of cool features and additional perks and apps, but the gallery of free content is abundant, too. So, by all means try out the Selfie Cam. This is a lot more than just a selfie camera app. 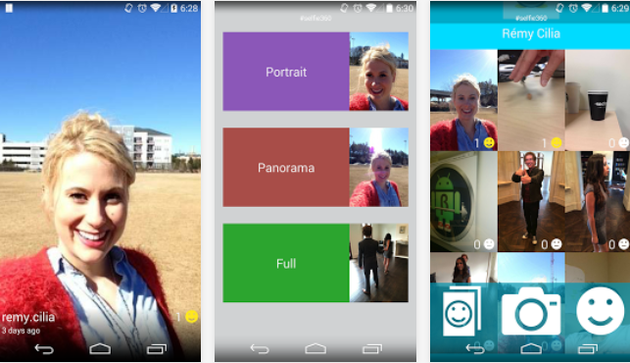 Picr is an entire project that allows users estimate their lives through selfies. It will remind you to take a selfie every day, and once a significant amount of time passes, a month or better a year, the app compiles an awesome video roll from all those selfies letting you see how you have changed over time, reminiscing about little details that might have slipped unnoticed as life rushes by. 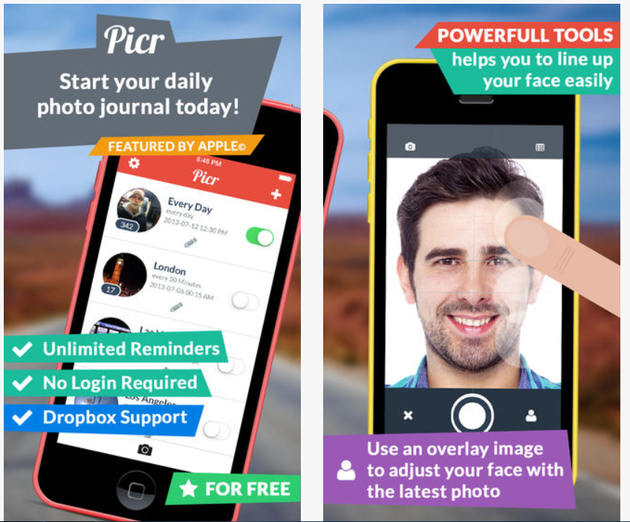 Picr is a sort of digital diary for the lame, where you no longer need to write things down; the app documents your life through selfies. The app is available on the iTunes store free of charge, but it you will have to upgrade to a Pro version in case you want more than one reminder a day. FaceTune is a fine selfie editor that will make a morning selfie where you look like a bear with a hangover into a gleaming perfect snapshot of an A-lister. It has great features that stand up to Photoshop-ed images, but the app does not require any profound knowledge of image editing whatsoever. Editing your image is a matter of few seconds – one tap will smooth your skin, one more tap and your teeth are immaculately white and shiny. Additionally, you could fix your hair, remove some grey hues in it, adjust the shape of your nose and even apply digital makeup, not to mention removing red eyes and a lot of other typical functions. Additionally, the app sports a number of cool filters and gives you the ability to create your own filters. Of course, no image editor comes without frames and stickers these days. Sharing your masterpieces via social networks is a few seconds matter. Just remember – the resulting image may not look like you if you abuse the beautifying effects. 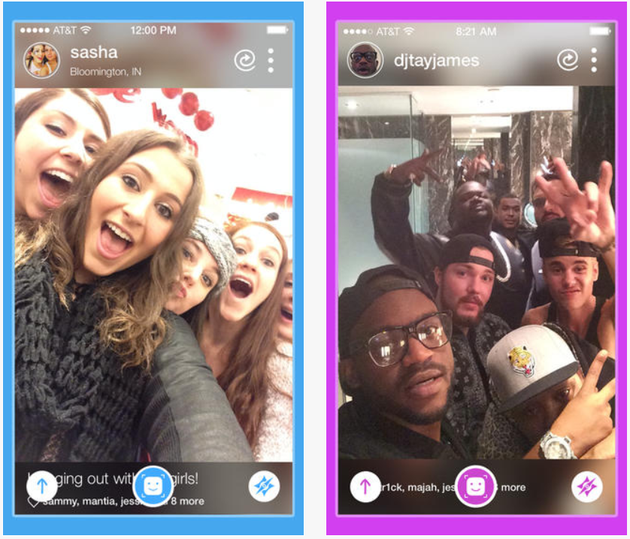 Besides being a powerful image editing app, Shots is quite a popular social network that tries to compete with Instagram. Whether the competition is successful or not does not really matter because the greatest virtue of this app is its selfie-focus, so you may want to explore its features in depth. The app is free. 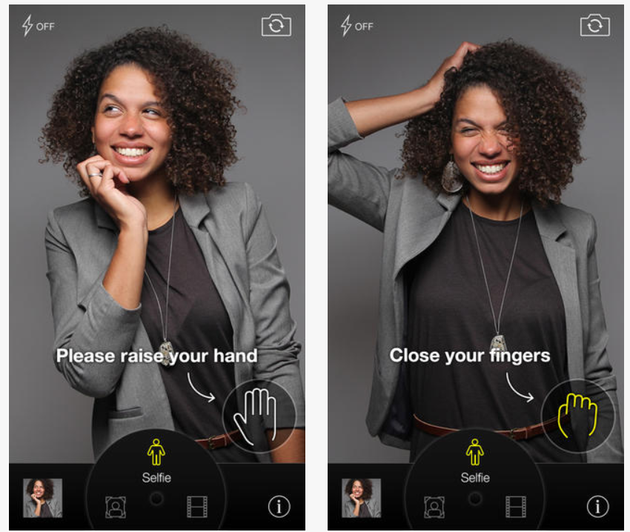 The main asset of this yet another selfie app, once named The Innovation of the Year, is it enables you to direct your camera at your face and take a snapshot using a gesture (yes, the app identifies a specific gesture to trigger the snapshot). Other than that, the app has a neat UI and a slew of regular features. It is free on iTunes store.